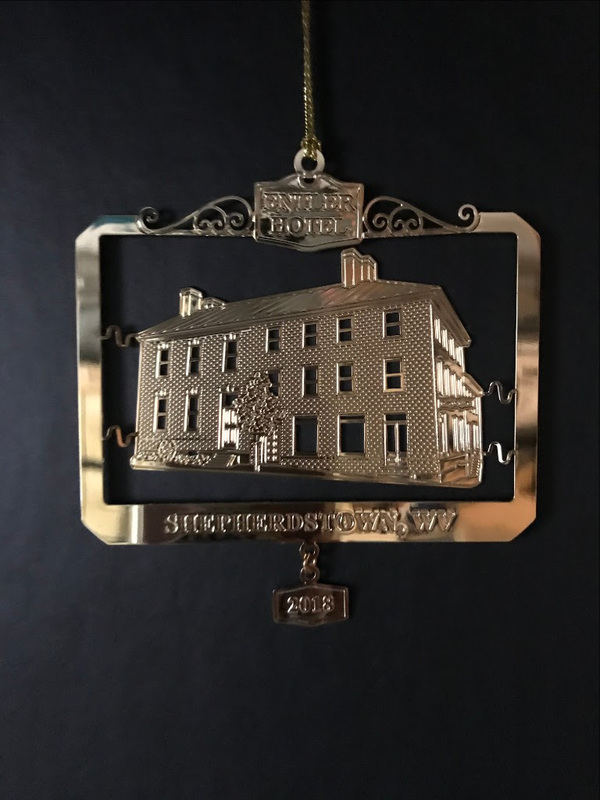 Historic Shepherdstown now has its 2018 Christmas ornament available for sale. This year it is the historic Entler Hotel. It is the fourth in a series of historic buildings by HSC. 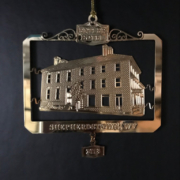 Ornaments can be purchased in the museum on the weekends during Christmas in Shepherdstown and also in the HSC office during normal business hours 9:30 – 5:30, Tuesday, Wednesday and Friday. Also, please join us and bring your children or grandchildren to the Shepherdstown Museum on December 8th at 2 pm for a reading of “Twas the Night Before Christmas” by “Mrs. Entler” herself in character. This is a way we can make history come alive for both adults and children. This famous poem was written in 1823 the same year that Daniel Entler became the proprietor of the Entler Hotel. The museum will be decorated as we think the Entlers would have done so and there will be a small gift for the young ones that attend. There is no cost for this event.